John Haring was a Judge from Upstate New York who became an ardent Patriot. After authoring the Orangetown Resolutions, Haring was a Delegate to the First Continental Congress. When tensions began to rise between Great Britain and her colonists, several towns and counties across the Eastern Seaboard passed official Resolutions. These Resolutions, in general, claimed Loyalty to the King while criticizing the malevolent Acts of Parliament. Additionally, many Resolutions suggested the creation of a Committee of Correspondence and/or the organizing a boycott against British imports. North of New York City, Upstate residents met and produced the Orangetown Resolutions, which covered all of these same topics. The most likely author of the Orangetown Resolutions is John Haring. Haring, a respected Judge, was also appointed to the new Committee of Correspondence, which he would later run. Two months later, John and Henry Wisner were selected by the people of Orange County to attend the First Continental Congress. Their presence offset the conservatives from New York City and voted down the Galloway Plan of Union. This in turn led to the acceptance of the Continental Association, the first major document in the formation of the United States. Haring left after the Association was approved, but before it was signed. He therefore assisted in constructing the agreement but did not put his name to the document (a similar situation would happen to Wisner two years later with the Declaration of Independence). Haring would spend the majority of the American Revolution working for the State government. He spent two sessions as the President Pro Temp of the New York Provincial Congress. This, in essence, made him the Executive of the temporary government. John followed his time in the Provincial Congress by spending the entirety of the 1780’s as a member of the State Senate. He also returned to the Continental Congress as one of New York’s Delegates for two years. Haring was part of the commission who went to Connecticut to settle land disagreements between New York and Massachusetts. This deal ended up favoring New York greatly, thanks in part to his efforts. John was then chosen as a member of the New York Ratification Convention where he was actively opposed to the Constitution. Next, he became a resident of New Jersey as an agreement shifted the State borders and put his property on the other side of the line. Haring’s new State took advantage of his experience and sent him to the New Jersey State Assembly for two years. A decade later, Haring moved back to New York. Once again he was sent to the State Assembly, but this time retired after just one term. Do you want to read about other First Continental Congress Delegates from New York? Enjoy these articles on Simon Boerum and Isaac Low. Want to learn more about the First Continental Congress? 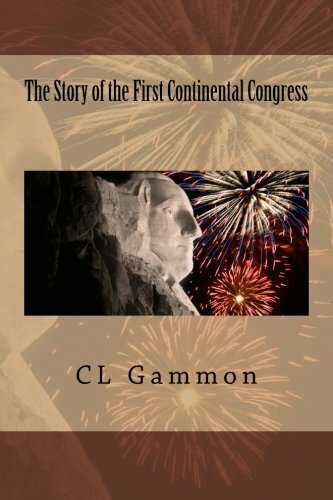 ‘The Story of the First Continental Congress’ is an easy and informative read. Pick up a copy through the Amazon affiliate link below (you’ll support this site, but don’t worry, Amazon pays me while your price stays the same).